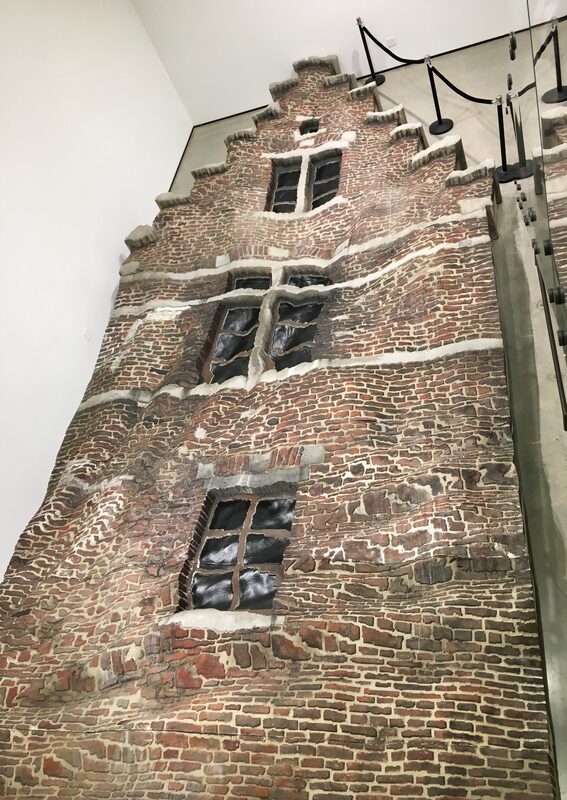 Eureka is the name of this 40-foot tall monumental sculpture, which depicts a rippling and distorted façade of a 17th century Dutch Canal House (paying homage to 40 years of Dutch rule in New York). 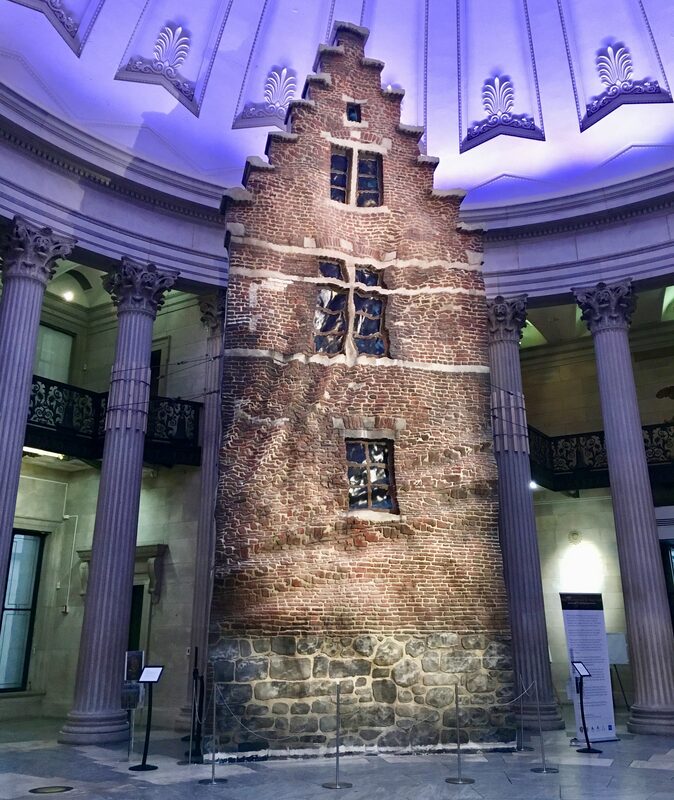 Originally created by artist Brian Tolle for curatror Jan Hoet’s city-wide exhibition, Over the Edges (2000), in Ghent, Belgium, its representation in Federal Hall blurs the site’s architectural and political history with the contemporary in the conceptual artwork. Previously, the sculpture was on display at C24 Gallery in Chelsea as part of Tolle’s February 2018 exhibit, Bent. The sculpture’s ripped appearance is meant to emulate the building’s rippled reflection in the flowing waterway that it borders. Tolle describes Eureka as “a sculptural play with illusion — a facade of a facade. 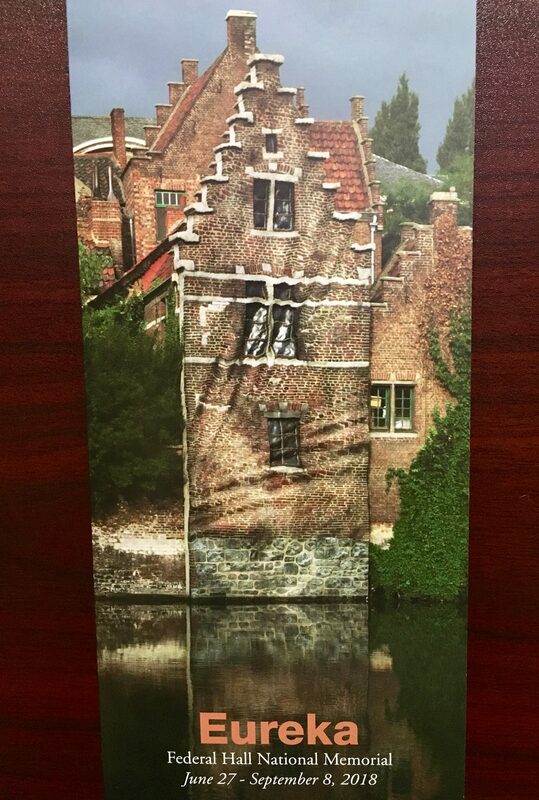 Its Dutch-inspired form points to New York’s early history and its fluid, but troubled transformation from a Dutch seat of power to a British colony, to an American platform for diversity and democracy.” It’s sad to think that there are so many serious threats to that democracy right now. 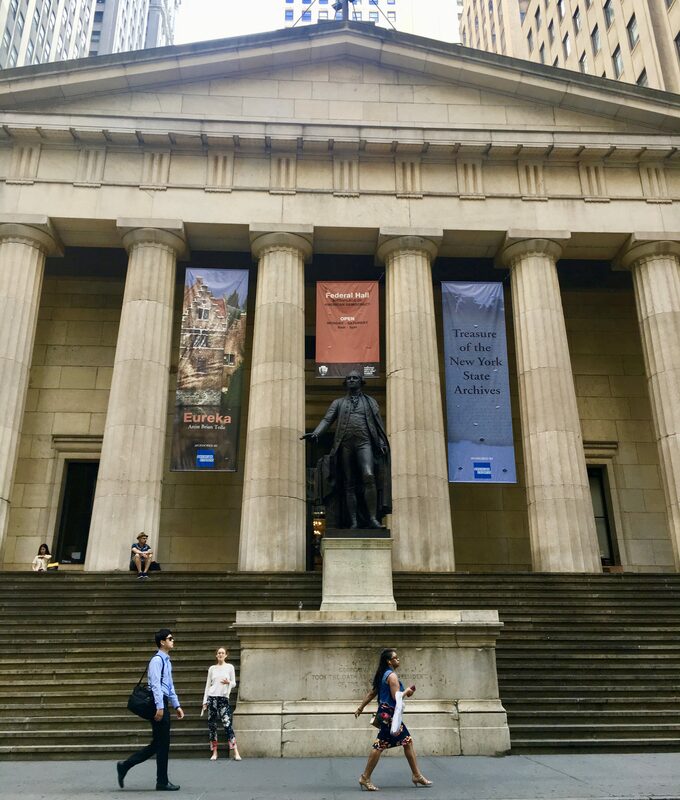 While you’re checking out Eureka, be sure to tour the rest of Federal Hall and see the various historical items on exhibit. 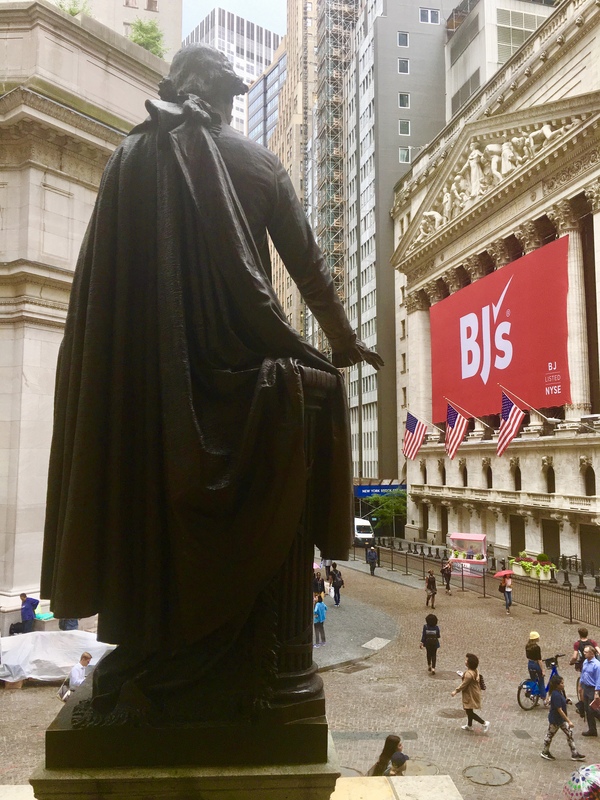 Statue of George Washington with Wall Street and The Stock Exchange as Seen From the Entrance to Federal Hall. 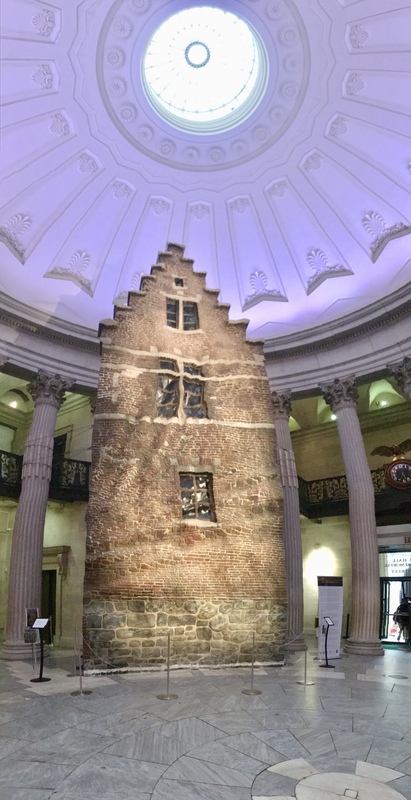 Brian Tolle’s Eureka will be on Display Through September 8th, 2018 at Federal Hall National Memorial, Located at 26 Wall Street (Across from the Exchange) in the Financial District, NYC.